The prices of winter-spring paddy in provinces in the Mekong Delta in the past few days slightly increased by VND200-VND300 per kilogram compared to those at the end of February, helping farmers to have profits. On March 20, traders at Dong Thap, An Giang, Kien Giang and Hau Giang provinces bought fresh paddy at the field at VND4,400-VND4,600 per kilogram, fresh long-grain paddy at VND4,700-VND4,900 per kilogram and fresh ST24 variety at around VND5,500 per kilogram upwards. Mr. Tran Van Liet, a farmer in Vi Thanh Commune in Vi Thuy District of Hau Giang Province said that at the beginning of the winter-spring rice crop, the prices of paddy were low while productivity was not high, hence farmers did not have profits. Meanwhile, farmers whose paddies were ready for harvest since mid-March until now earned a profit from VND1.5- VND2.5 million per 1,000 square meters, depending on varieties, thanks to high productivity of nearly 1 tons of paddy per 1,000 square meters and rising prices. According to the Department of Agriculture and Rural Development, there are more than 78,500 hectares of paddy fields in the province. Up to now, about 60 percent of rice growing area has been harvested with average yield estimating at 7.3 tons per hectare. 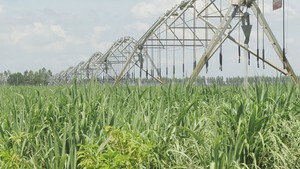 The department said that the province has made plan for the summer-autumn rice crop with more than 234,000 hectares, of which, places where farmers have finished harvest of winter-spring rice crop early will start the first cultivation of summer-autumn rice crop from March 20 to 25. 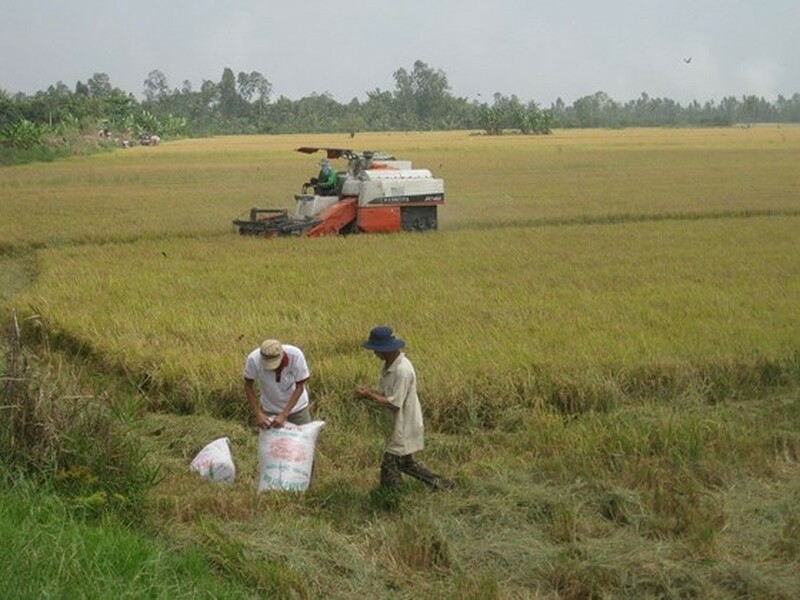 The winter-spring rice crop, farmers in Mekong Delta provinces grew rice in an area of nearly 1.6 million hectares. Many provinces now have entered peak time of harvest. According to the Ministry of Agriculture and Rural Development, estimated rice production will reach 43.8 million tons this year, enough for domestic demand and export plan. As for the Mekong Delta, in the first quarter of this year, provinces will harvest around 9.99 million tons of dried paddy. Of which, 2.76 million tons are for domestic consumption demand and 7 million tons are for export, equivalent to nearly 3.6 million tons of rice. 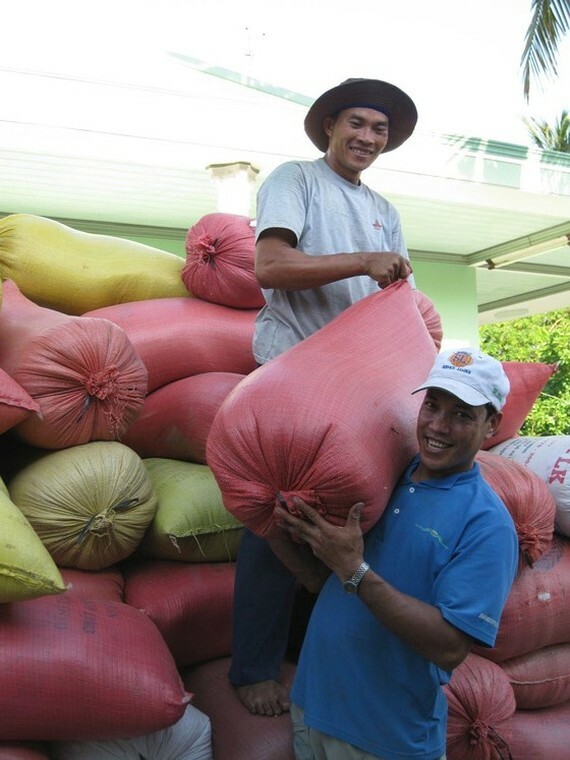 The amount of rice saved for export is estimated at around 6.8 million tons of rice this year.